Product Style Regular 21.5"x22.5" Long 24"x25"
Esoteric and dreamy, my ray-bow eyes are a fun pop of print for spring and summer! 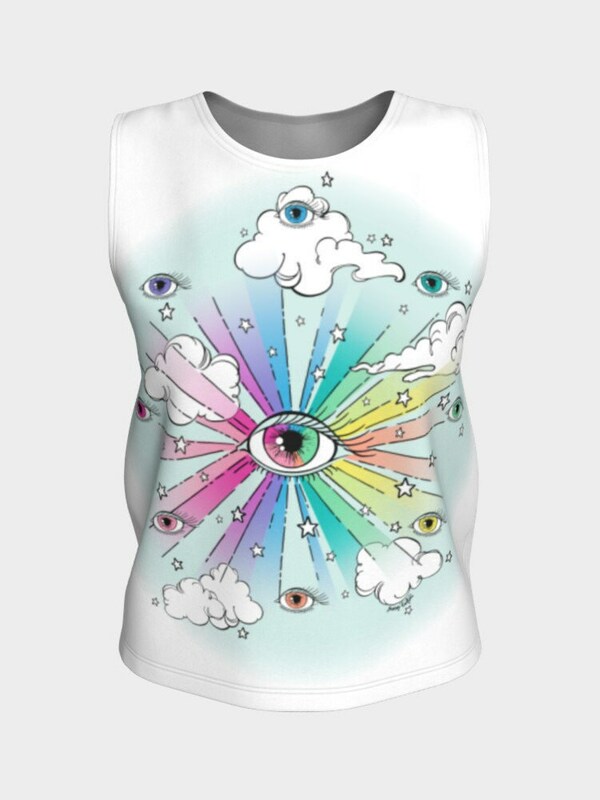 Perfect for a sunny afternoon of fun or as an inspirational layer for your yoga practice. 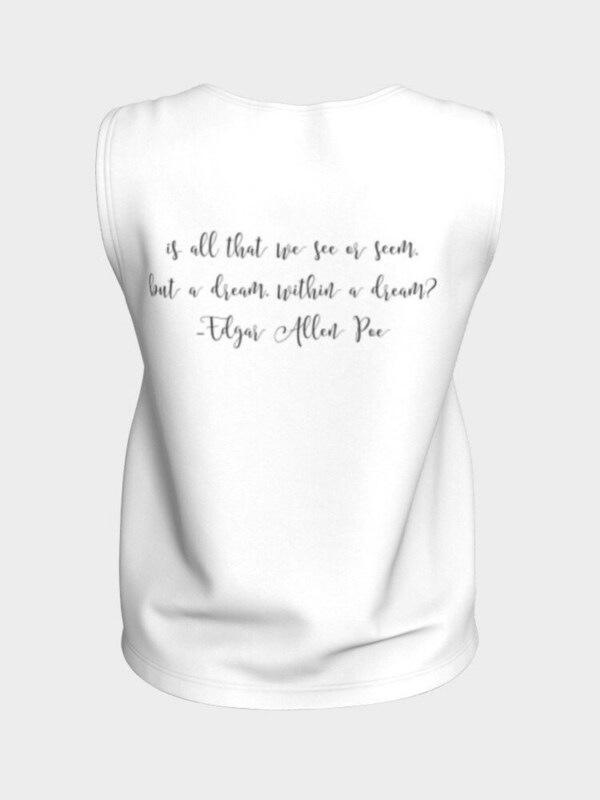 Full color graphic on the front and one of my favorite quotes on the reverse: Are all that we see or seem but a dream within a dream? Also available on other products in my store. Thanks for checking out my work!